Geoff is a Senior Consultant at CapeClarke and heads the North West office, based in Manchester. His background prior to moving into legal recruitment was in computer forensics and eDisclosure, mostly for clients in the legal sector. 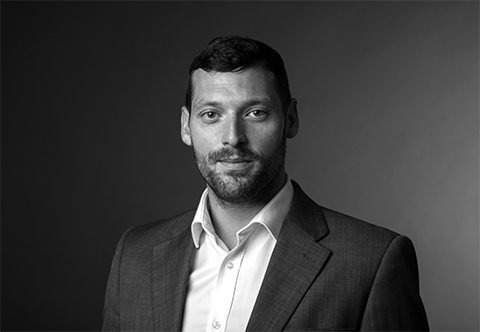 Geoff now has over 8 years’ experience within legal recruitment and has an extensive track record in working with qualified lawyers from NQ up to Partner level, providing an in depth and tailored approach to identifying their next career move. Geoff also has significant experience acting for law firms, including many retained assignments, in trying to proactively identify and target key individuals and/ or teams that can address key vacancies or wider strategic growth objectives. Candidates know Geoff as someone who is dependable and honest, with an excellent insight into the local and national legal sectors, who will give transparent and valuable advice. Clients appreciate his understanding of their challenges and his ability to source and approach quality lawyers across various levels and areas of practice. Outside of work, Geoff is an avid road cyclist and can be found at weekends slogging it up hills in the peak district. He has taken part in several sportives including the Prudential Ride London 2017, riding and raising over £2500 for the British Heart Foundation. He is also a keen trumpet player and frequently plays with several orchestras and ensembles across Greater Manchester including currently playing Principal Trumpet with the Royal Regiment of Fusiliers Band in Bury.